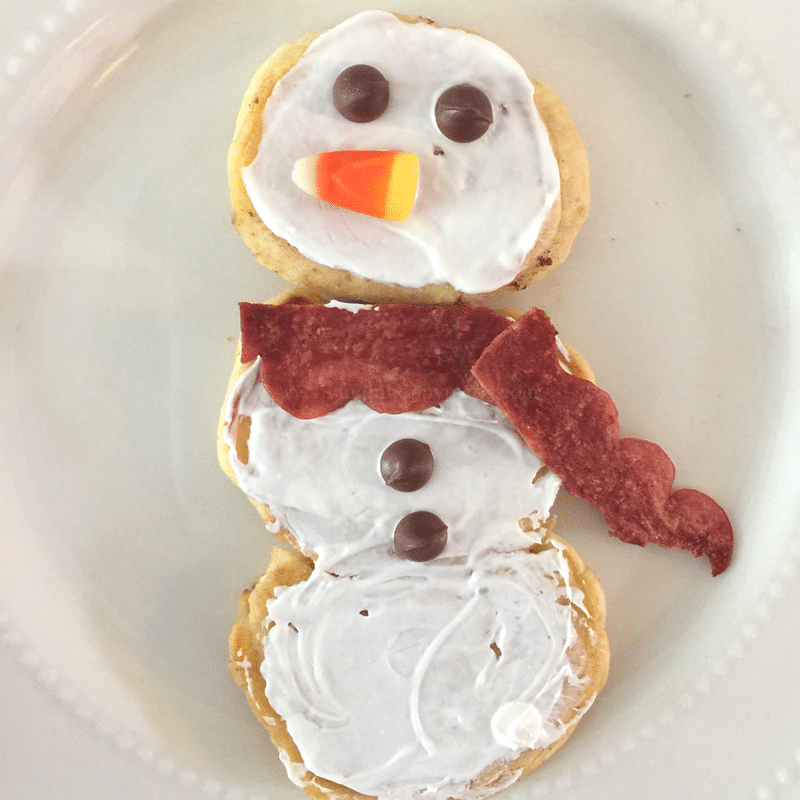 Preview: Snowman Pancakes are a fun an easy Christmas holiday breakfast idea! If you are looking for a Christmas holiday breakfast idea for kids (or adults! ), this Snowman Pancake recipe is easy to make and sure to warm the bellies of any snowman lovers in your house! This post contains links to products that I use and love. The companies can give me a fee for referring customers to their site (at no additional cost to the customer). Read more about the disclosure policy here. There is something about the holiday season that makes you want to make everything a little extra special. You want to make that holiday feeling last the entire month of December. You want to watch every Christmas special on tv, drink hot cocoa, and check off your holiday bucket list. “If every day could be just like Christmas…” (Did I just go a little Elvis right there!). Even breakfast needs a holiday upgrade. Pancake shapes are my specialty. I’m no expert (have you seen some of these pancake masters? Amazing!) but I am in charge of attempting fun shapes like that time I attempted a Minion..
Like most Moms, I will try almost anything if it will make my kids smile. These Snowman Pancakes are so easy to make- don’t worry if you are not feeling very creative in the morning. You’re kids will love them because Mommy made them! *Here’s a little idea I use to sneak in a little extra quality time with my kids: read over breakfast! I use the Epic! app (so I don’t have to keep a small library on the dining room table) and I just read a short book or even a chapter on my phone while they are eating. Every moment counts, right? While the pancakes are still warm, add 1 white chocolate disc and push it around each pancake with a toothpick. As it melts, it will make the top of the pancake snowman white. Use as much or as little as you like. (You may want to wear an oven mitt if the pancakes are hot). Break (or cut) the cooked turkey bacon in half. Lay one strip between the top and second pancakes to make a scarf. Lay the second strip pointing to about 4 o’clock to make the scarf’s tail. Add 2 chocolate morsels above the candy corn nose. These should make the snowman’s eyes. Add 2 more chocolate morsels in a vertical line on the second pancake. Sometimes is just the little things that can bring us so much joy. Time with family to celebrate the holidays over a fun breakfast- what more could you ask for?! Who will you be sharing this snowman pancake with?